Trying out is strictly allowed! 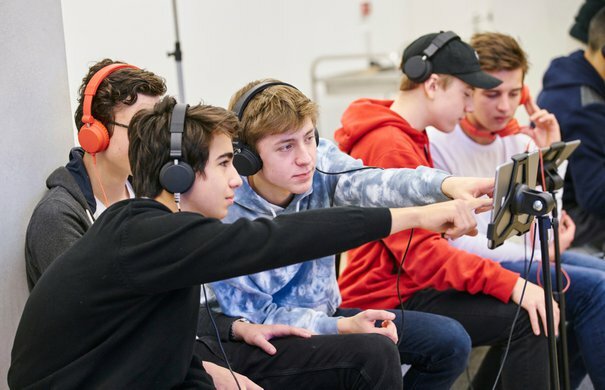 With musical instruments on offer ranging from violins and trombone to timpani and Indian Ghatam, immerse yourself in the World of Instruments’ diverse music workshops at the Elbphilharmonie. The experience of playing music with others is the focus of the World of Instruments ‒ even for those without prior musical knowledge! Other creative courses such as »Klassiko Orchester« and »Kosmos Percussion«, during which instruments from classical symphony orchestras and percussion instruments from the Caribbean and Asia can be tried out, are also found here. The World of Instruments is open to all age groups, from children and teenagers to adults. With this wide range of courses on offer, the World of Instruments takes the place of the Klingendes Museum, founded by Gerd Albrecht. The museum closed on 21 July 2016 and was previously located in the basement of the Laeiszhalle; the World of Instruments now moves to new and larger premises in the Kaistudios in the Elbphilharmonie, and expands its programme with many new courses. 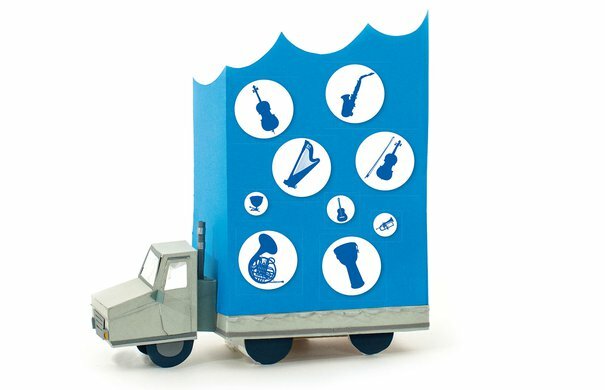 What makes the Elbphilharmonie World of Instruments so special? Which musical instrument was faced with the longest journey to join our collection and what is a gamelan orchestra? Many different families of musical instruments come together to form the classical symphony orchestra and each family has its own characteristics. 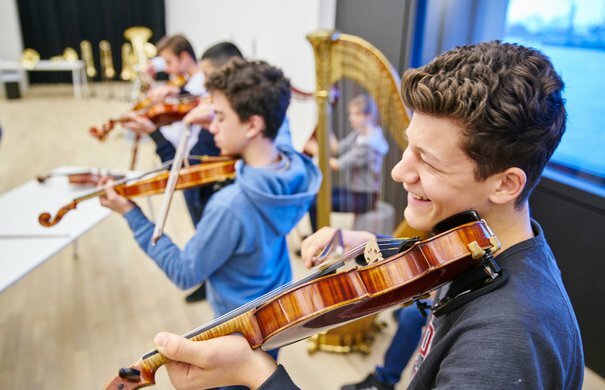 In the »Klassiko Orchesterinstrumente« workshop, professional musicians introduce the families and their instruments, are on hand to answer any questions about the orchestra and guide participants through the first steps of playing each instrument. Who knows, maybe you’ll discover a love for string instruments, while a fellow participant finds he has a knack for woodwinds? Join the end-of-workshop jam to uncover whether all the contrasting musical families really do harmonise with one another. Supported by the Hubertus Wald Stiftung. 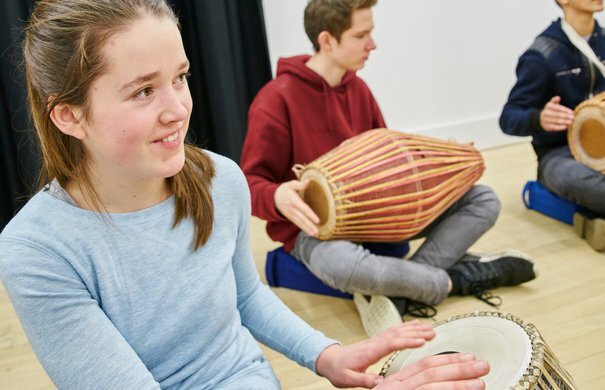 In this workshop, curious kids, teenagers and adults alike embark on a sound expedition around the world, from the Caribbean to India and beyond. Music is played everywhere and it always sounds different. And because trying out is known to be more fun than mere listening, all featured percussion instruments that have travelled here from lands far away may be played by participants – under the guidance of professionals, of course. Previous knowledge is welcome, but not a requirement. After all, it’s about the rhythm played by all participants together developed along the journey, step by step, stroke by stroke. Music by composers such as Mozart, Beethoven and Tchaikovsky is a hundred years old and more – and yet it remains extremely popular. This workshop explores the nuts and bolts of composition. With various sound experiments and improvisation techniques, the workshop participants get to grips with this exciting world and work on their own pieces.